Unions hate the cheap Chinese goods American consumers love. Reuters reported on July 7 that the Obama administration was probably not going to "name China a currency manipulator." Various Senators, Congresspersons, and union representatives have been complaining for years that the Chinese government keeps its currency "too low" because the don't like our being able to buy Chinese products so cheaply. For the past several years, China has in practice pegged its currency mostly to the dollar. They buy or sell either renminbi or dollars as needed to adjust demand for renminbi so that the renminbi keeps about the same price relative to the dollar. The Chinese government doesn't believe in transparency and is pretty effective at keeping secrets, so we have no idea how they arrived at the current exchange rate of 1 Chinese renminbi = 0.1477 US dollars, or, to put it the other way, one US dollar buys 6.7 renminbi. However they got that number, it's worked well for them as a walk through any Wal-Mart shows. Most of the consumer goods sold in Wal-Mart were made in China. We pay Wal-Mart in dollars, so Wal-Mart uses these dollars to buy goods to re-stock their shelves. Chinese garment factories and toy makers need to get paid in renminbi, of course, and set their prices in renminbi to make a local profit. Wal-Mart uses dollars to buy renminbi to pay their vendors in renminbi. Thus, Wal-Mart cares not only about the prices they have to pay in renminbi, but they also care about the exchange rate which determines the price they have to pay in dollars to buy however many renminbi they need to pay their bills. Economic theory holds that if a country like China is able to keep its currency cheap, their exporters can sell more goods because it takes fewer dollars, or yen, or whatever, for overseas customers to get enough renminbi to buy. This makes life difficult for companies that want to import American goods into China, of course, because they need more renminbi to buy the dollars they need to pay their bills. Thus, a low exchange rate always favors exporters over importers. By pushing up the cost of imported goods, the low exchange rate raises consumer prices because domestic vendors aren't subject to price competition from other countries. People in China have to work harder to earn enough renminbi to pay for whatever they want to buy - but there are more jobs for them manufacturing goods to export. That's why there are millions of Chinese toiling in factories, and millions of unemployed American ex-factory workers on the dole. The low-priced renminbi makes it cheaper for Wal-Mart to buy Chinese goods. The lower the prices they pay, the lower the prices at which they can sell. This has been hard on American companies that used to sell to Wal-Mart, but it's been wonderful for Wal-Mart customers. The US Government estimates that Wal-Mart's policies of low-priced goods has chopped about 1% of the national inflation rate for the past ten years or so. Those of us who've been shopping at Wal-Mart since before Mr. Sam died will remember that Mr. Sam believed passionately in buying from American companies. He used to advertise how many American jobs Wal-Mart supported as his customers bought American-made goods. In those days, the Wal-Mart house brand was "Sam's American Choice," and was always manufactured in, well, America. This changed after he died, of course, to the point that the only US-made products sold in Wal-Mart are bulky items such as Pampers and perishable items that can't easily be shipped from China. Most of Wal-Mart's garments, tools, consumer electronics, etc., pretty much all come from China - and the house brand is now merely "Sam's Choice." American businessmen have noticed this and so have American unions. They've been complaining to their elected representatives that China is being "unfair" by keeping its renminbi "too cheap." If the renminbi went up in price, they reason, Wal-Mart would have to pay more dollars for Chinese goods and might buy more from American firms. Businesses like Apple and GM which are large enough to either manufacture in China or buy enough to be important to Chinese vendors don't particularly care because labor is a small percentage of high-tech manufacturing costs, but smaller businesses would like to have the government reduce the level of their competition by making the renminbi more expensive. The largest U.S. labor group urged Congress on Friday to pass legislation to fight China's currency practices, a day after the Obama administration again declined to label Beijing a currency manipulator. Trumka [president of the AFL-CIO labor federation] said the Treasury Department's decision ignored "the overwhelming evidence, including that in Treasury's own report, that the Chinese government has systematically intervened in currency markets over many years to keep the renminbi undervalued by as much as 40 percent." Mr. Trumka doesn't want to let the Chinese government subsidize me by selling Chinese goods 40% cheaper than some idealized price which exists only in Mr. Trumka's mind. He and his union colleagues want our government to insist that I pay higher prices for whatever I want to buy, to cover the extra costs of unionization and put that money in his pocket. He believes that if American merchants had to pay 40% more for Chinese goods than they now pay, they'd shift some of their purchases to American firms which his union will be only too happy to organize. As with all schemes to have the US government help businesses and create jobs, this plan would make consumers pay more for the goods they buy in Wal-Mart and pretty much everywhere else - a price increase as large as upping the price of the renminbi by 40% would ripple everywhere throughout the economy. The unions' biggest beef, of course, is that Chinese factory workers are willing to work for less money than American workers. The unions hope that boosting the costs of getting Chinese goods into the US will bring manufacturing jobs back to the US. This isn't particularly likely, because it's very hard to get Americans to manufacture anything. First of all, unions teamed with NIMBY, zoning rules, and federal regulations make it very difficult to operate a factory in the US; these difficulties have nothing to do with the fact that American labor costs so much more than Chinese labor. Secondly, China has competition from other countries. Low-end, low-skill jobs such making Happy Meal toys or the cheaper grades of clothing can move to Vietnam and other emerging economies if Chinese goods become too expensive. In the case of high-skilled manufacturing such as making automobiles, the capital equipment costs so much that as long as labor costs don't come near the UAW-mandated $70/hr, other factors such as energy costs, the availability of skilled labor, health care costs, and the work force flexibility needed to run the plant efficiently are nearly as important as wages. Back in the early 1960's, one dollar would buy 360 Japanese yen; this exchange rate helped make Japanese goods cheap in America. Unions and manufacturers protested and the government negotiated one trade limit after another. One dollar now buys roughly 100 yen, a decrease of the purchasing power of a dollar by more than 3:1. This means we pay more than three times as much for Japanese goods as we used to. Did the manufacturing jobs which had gone to Japan come back as Japanese goods became more expensive? Not really. The Japanese did set up car assembly plants in the US while keeping most of the high-end technology back in Japan, but that was more to protect themselves against further trade embargoes than because the US is a good place to run factories. Even then, the Japanese were scrupulously careful to stay far, far away from states where unions have organizing clout. History shows that American administrations don't do all that well when negotiating economic agreements with Asian nations. 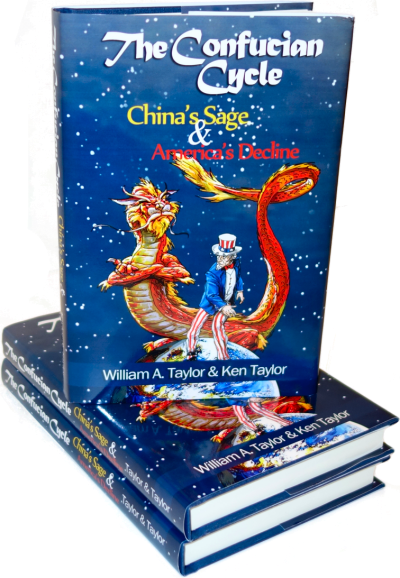 If the price of Chinese goods goes up, American firms will be in no hurry to move manufacturing back to the US given all the Obama administration rhetoric about punishing businesses, raising taxes, increasing regulation, and much more. As with most moves by the Obama administration, Mr. Obama's union pals may benefit, but one thing is for sure - when unions ask for something, we consumers take a huge hit in the wallet.